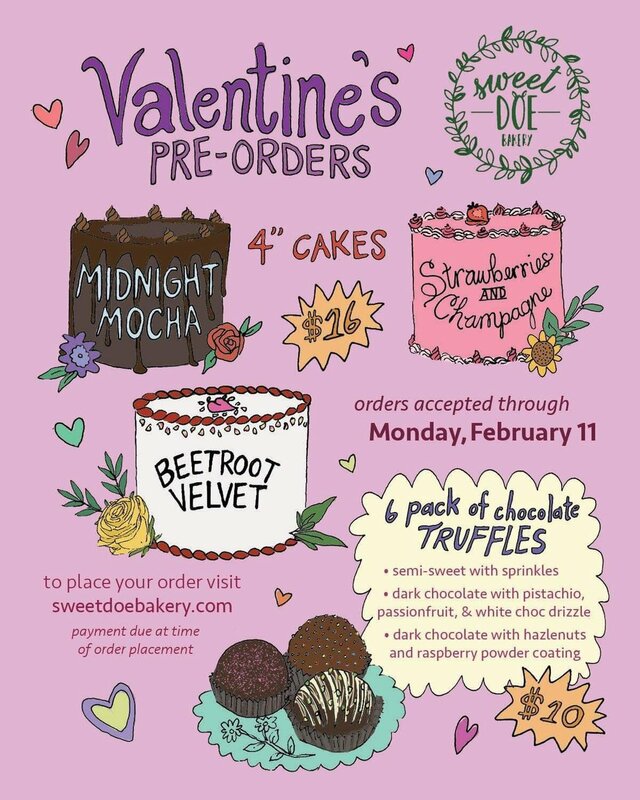 Sweet Doe Bakery is taking pre-orders for Valentine’s Day. To start off we are offering a selection of 4” cakes and chocolate truffle six packs. While the rest of the menu is still available, this is specifically for those interested in getting their orders in early, and want to guarantee that there will be a delicious cruelty free treat on their table. Because of the size of this business, there will be caps on everything, and once that cap is reached it will be considered sold out and taken off the menu. All orders MUST be paid in full before being accounted for. If you place an order and do not pay, it will be not be counted and that space will be given to those who have already completed payment. Thank you! You’ll receive an email within three days after placing your order to confirm, set up payment, and finalize any additional details.